The flipped classroom is an instructional model in which students viewed the learning content before class through instructor-provided video lectures or other pre-class learning materials, and in-class time is used for student-centered active learning. Video is widely utilized as a typical pre-class learning material in the flipped classroom. 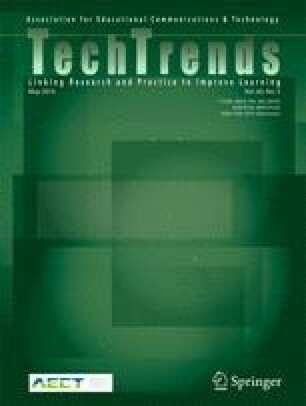 This paper reports the findings from a survey about students’ attitudes and preferences regarding the pre-class learning experiences in an undergraduate science course that utilized a flipped classroom model. Findings demonstrate that students had positive attitudes towards using pre-class videos in the flipped classroom. Students had different perceptions towards the four types of pre-class learning materials used in this course, including three types of videos and text-formatted materials. Students’ attitudes and preferences on pre-class learning materials did not differ across class levels, major fields, or previous experience of learning via videos. Students suggested that pre-class videos should be kept short and engaging. The authors give thanks to all the students in the course ESS 220 for their supports and suggestions in this study. Brame, C., (2013). Flipping the classroom. Retrieved from http://cft.vanderbilt.edu/guides-sub-pages/flipping-the-classroom/. Flipped Learning Network. (2014). The four pillars of F-L-I-P™. Retrieved from www.flippedlearning.org/definition. Gerstein, J. (2011). The flipped classroom model: A full picture. Retrieved from http://usergeneratededucation.wordpress.com/2011/06/13/the-flipped-classroom-model-a-full-picture/. Makice, K. (2011, December 10). Flipping the classroom requires more than video. Retrieved from http://www.wired.com/geekdad/2012/04/flipping-the-classroom/. Moroney, S. P. (2013). Flipped teaching in a college algebra classroom: An action research project. Informally published manuscript, Department of Educational Technology, University of Hawaii at Manoa, Honolulu, HI, Retrieved from http://etec.hawaii.edu/proceedings/masters/2013/Moroney.pdf. Santos, J. R. A. (1999). Cronbach’s alpha: a tool for assessing the reliability of scales. Journal of Extension, 37(2). Retrieved May 4, 2015, from http://www.joe.org/joe/1999april/tt3.php/.